6. That’s it! 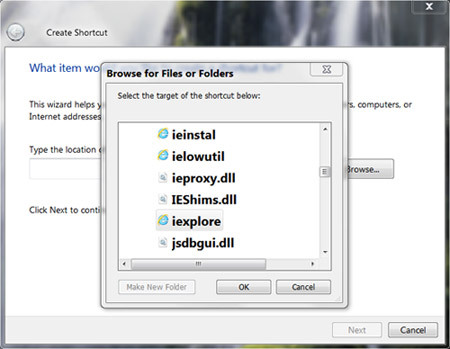 From now on, just open the Run dialog box and type ie and hit Enter to open the Internet Explorer. In this way you can create customized Run commands for any program of your choice. To do this, when you click on “Browse” in the Step-3, just select the target program’s main executable (.exe) file which will usually be located in the C:\Program Files folder. Give a simple and short name for this shortcut as per your choice and copy the shortcut file onto the Windows folder as usual. Now just type this short name in the Run dialog box to open the program.